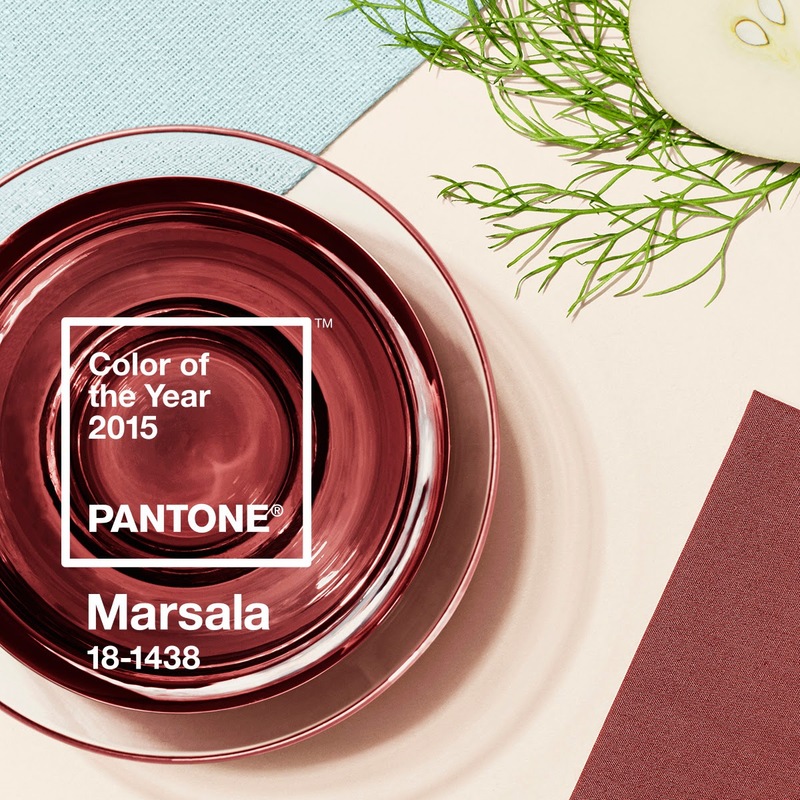 Ladies And Gents: Marsala is 2015's color of the year and it is lovely as ever. Marsala is a great color for both women and men. It's simple and yet lavish, inviting and plentiful. This color goes with many skin tones, making it perfect for apparel, accessories, & more! Sophisticated and warm, allow this color to make its way into your life! For example, in the picture above, she is wearing a Marsala colored lipstick creating a perfect pop of color against her dark Marsala dress. It's sultry and yet subtle. This is a great example of how men can wear this color, too! It's classy yet casual. Can be dressed up or dressed down. 2015's color of the year is seriously versatile! For our returning blog fans/customers, as you know in the above picture is Julie. 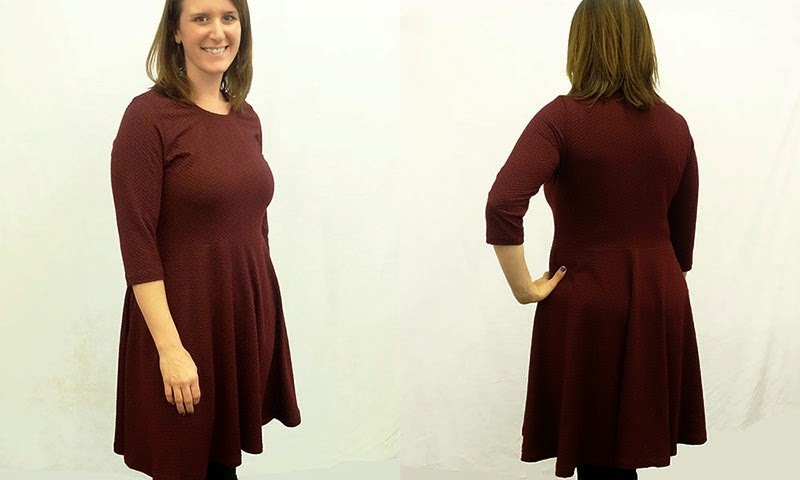 She sewed this dress out of one of our dark Marsala chevron knits and will be doing a future blog post about it so stay tuned! As you can see, it goes great with her skin tone and can easily be dressed up for any occasion! By now, some of you may be wondering, does Fabric Mart have any fabric in this color? Well we absolutely do! Above are a few fabrics I thought would provide great inspiration. As we get colors like Marsala, we will be naming our fabrics as such so don't hesitate to look it up by its name on our site! For more inspiration on Pantones Color Of The Year, be sure to visit our pinterest page! I am loving the marsala!